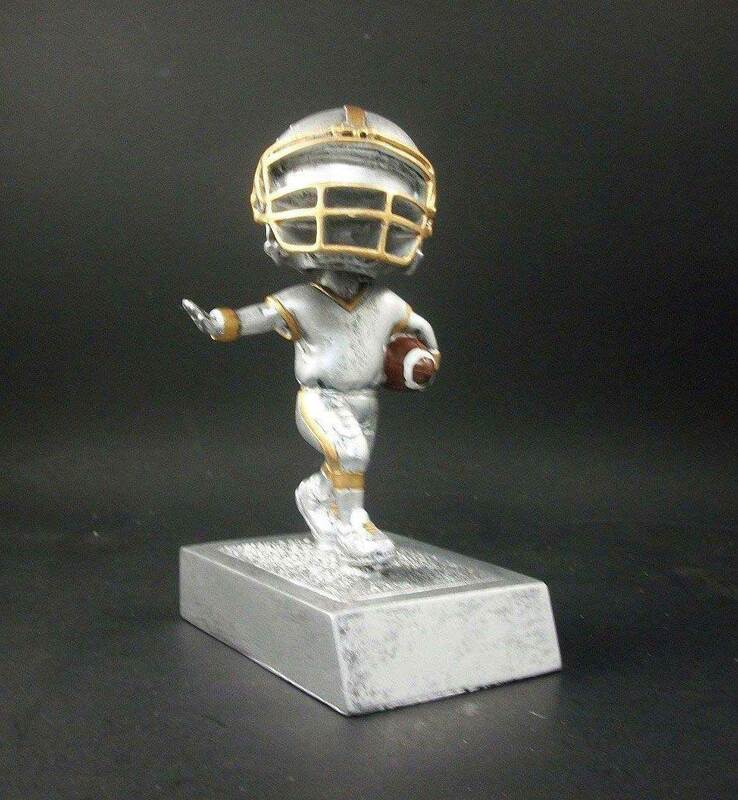 Can be used for youth football or fantasy football bobblehead resin trophy. 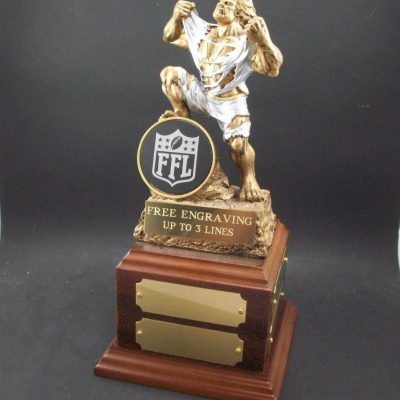 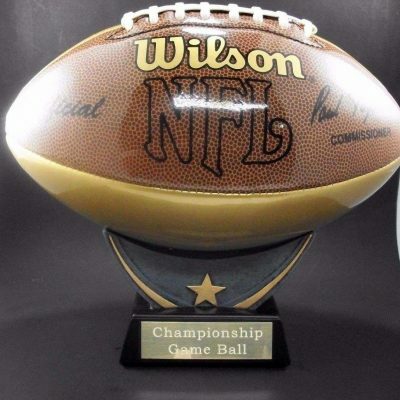 The trophy is 5.5″ tall and comes with free engraving on brass plate. 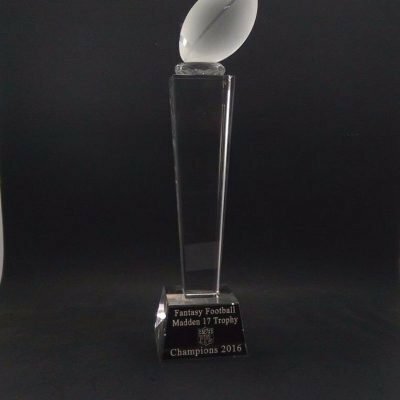 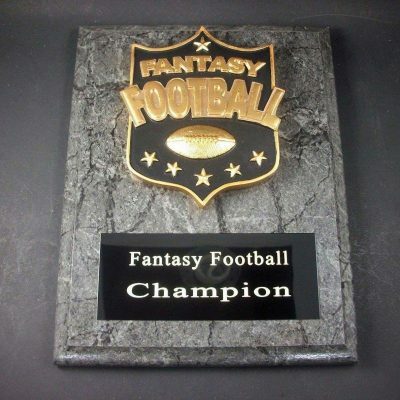 Click here for more football trophies.